Chairman Shimoji of JEPA took office as Honorary Special Economic Advisor of the Mayor of Tinian, Mr. Ramon M. Dela Cruz, by his request. Tinian expects economic effect by the transference of the Futenma US base to Tinian. 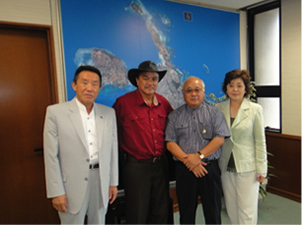 In October of 2012, Mayor Mr. Dela Cruz visited Japan by the invitation of JEPA and inspected Futenma base in Okinawa. Mayor pointed out the risk of the airport of the Futenma base locating in the place among a residential area and schools. About the move from the Futenma base of United States Armed Forces, the Tinian city adopts an invitation resolution in its assembly and hopes for acceptance from US Government. Chairman Shimoji will pressure Japanese Government and concerned ministries about the transference of Futenma US base to Tinian. 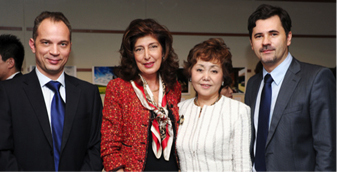 In April 2012, Economic Forum of India was held at the Embassy of India, Tokyo, sponsored by JEPA with the cooperation of Embassy of India. HE Ambassador Mr. A. Prasad gave a speech on the significant progress of India economy, and HE Minister of Commerce Mr. A. Goyal spoke about business between India and Japan. 2012 is the year of the 60th anniversary of establishment of diplomatic relations between Japan and India. “Resurgent Japan and Vibrant India” is a slogan which was announced in the joint statement by the Prime Minister of Japan and India. On October 19, 2012, Serbia Business Seminar was held at the FCCJ in Yurakucho sponsored by JEPA and with the cooperation of Serbian Embassy in Tokyo. HE Ambassador of the Republic of Serbia Ms. Bojana A. Dragovic made a keynote address. Following to the lecture by Mr. D. Makic, Counselor of Economic Affairs, Ms. I. Toshinaga, officer of the UNIDO ITPO Tokyo, gave a lecture on the success of various Japanese companies which went into Serbia. After the seminar, attendants enjoyed delicious Serbian wine and dishes. JEPA board met with HE Ambassador of El Salvador Ms. Martha L. Zelayandia in last October in Tokyo. Ambassador Zelayandia emphasized about the agriculture that was one of the successful industries of El Salvador. At present, it is not easy to secure enough land for agriculture worldwide. 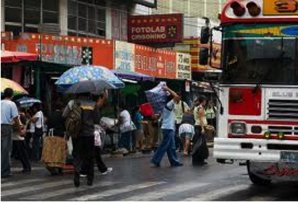 Ambassador expects Japanese enterprises to go into El Salvador as agricultural production bases. 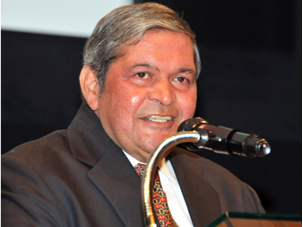 JEPA board offered Ambassador to hold a business seminar of El Salvador in near future. 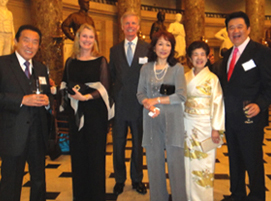 In June 2012, same as every year, the White House/Ford’s Theatre Gala was held, and JEPA boards and member attended. The first day of Gala, President Obama shook hands and got photograph taken together with each attendants at the White House. In the Ford’s Theatre, Mr. Morgan Freeman, Oscar-winning actor, and Mr. Laurence Fishburne being famous as Morpheus in the movie of “Matrix” welcomed attendants. 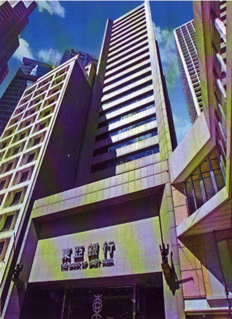 In last September, JEPA Boards visited Hong Kong to meet Sir Li, CEO of the Bank of East Asia Ltd.
Hong Kong accomplishes favorable economic prosperity as international finance and a global base of the distribution. Such prosperity depends greatly on its taxation system of the low rate and transparent legal system. Sir Li and Chairman Shimoji agreed upon to continue holding and deepen mutual relationship between JEPA and the Bank of East Asia. In August 2012, JEPA Boards and member visited Taiwan and met with Mr. Li Tengu-hui. 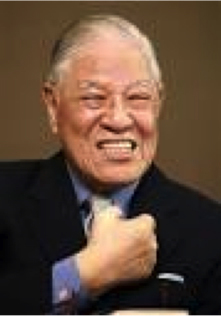 He is the politician who made the basics of current development of Taiwan. He is famous by having a profound knowledge of Japanese literature. The meeting was significant and peaceful according to his personality. In last May, UN Singers visited to Hiroshima, Nagasaki and Okinawa these were most affected by the Second World War. UN Singers also gave performance with all their prayer for the victims of the Tohoku great earthquake disaster in 2011. Friends of the United Nations Japan (FOTUN), which Ms. Tokuda acts as the Representative Director, cosponsored the performance in Hiroshima and Nagasaki, and JEPA sponsored in Okinawa. The Secretary-General of UN in New York sent his warmest message for these memorable performance. Support the rebuilding of Wangdue Phodrang Dzong in Bhutan which was destroyed by fire. Wangdue Phodrang Dzong, a venerable building erected 375 years ago, is the place that should say the prop of the mind for Bhutanese people. As soon as the destruction of Dzong was reported in Japan, in last June, quite many messages of encouragements and donation were sent from all over Japan for the rebuilding of Dzong. Students of the Sakuragaoka Elementary school in Fukushima, where King and Queen of Bhutan had visited in 2011, also worked on the fund-raising proactively to send the donation. Ms. Tokuda, Honorary Consul-General of Bhutan, visited Bhutan to hand the donation and messages directly to the concerned governmental officer in September 2012. In Last June, JEPA Boards met with Dr. S. Koerner, MD of Cedars-Sinai Medical Center in Los Angeles. CSMC is appreciated by its high advanced medical care worldwide. Dr. Koerner and Chairman Shimoji talked about acceptance of patients and trainees of doctor to CSMC through an introduction by JEPA. Mr. Nikola Bogdanovic had visited Japan as exchange student from Serbia. After graduation from the Nagoya University of Commerce last fall, he started to work at JEPA as consultant probation.